The author of this Irwin website is Gene Gammon. Years of working with Irwin Yacht & Marine, Ted Irwin, and the love of his work, led him to spend considerable time and effort to produce a source of information that would hopefully benefit the thousands of Irwin owners around the world. 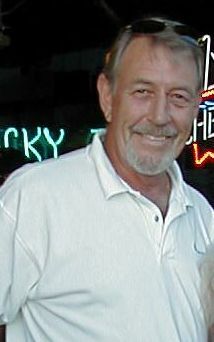 Gene Gammon became a source of Irwin information to original owners as well as subsequent owners, and with the popularity of the internet, Gene Gammon's name as a contact for information and data flourished. 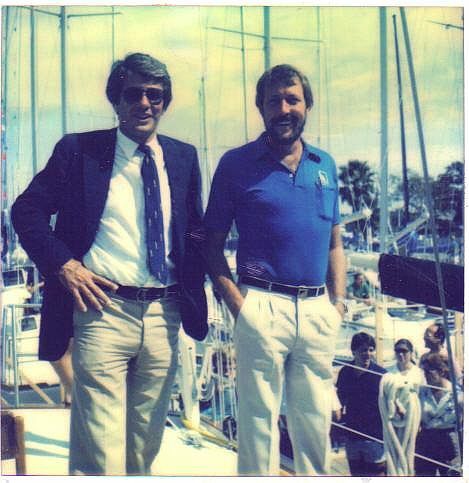 As an effort to make data instantly available to all, he created the Irwin Yachts website that could answer all the basic questions and carry on the Irwin tradition. The website should save the owners searching time and phone calls to him for the basic answers they seek, but he still likes to hear from Irwin sailors everywhere. It keeps him updated, and he loves passing on new ideas and meeting new friends. 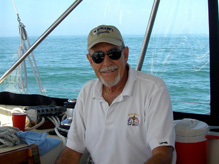 In 1972, three years after returning from the US Army and Vietnam, Gene started his own business as Gulf Coast Catamarans in St. Petersburg, Florida. From 1972 to 1976 he sold, rented and serviced several brands of beach catamarans including: Sol Cat, Condor, Nacra, Kona Cat, Sizzler, Prindle, Tornado, and the G-Cat. In those 4 years he learned to sail, was three years Florida State Open Class Multi hull Champ, and designed and built the G-Cat. 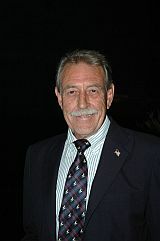 Ted Irwin hired Gene in the spring of 1977 as their Irwin 52 Project Manager to supervise the sales, construction, commissioning and delivery of the Irwin 52s. During his first three years at Irwin, he delivered 48 Irwin 52s and took deposits on the first 8 planned Irwin 65 models. He also learned construction methods, the meaning of sailing in comfort, and the competition, such as Morgan, Endeavor, Gulfstar, Pearson, CT, Cheoy Lee and others in that size range. With the Irwin 52, he attended boat shows from Newport to Miami. He also arranged for Irwin Yacht to sponsor Irwin 52 Rendezvous in Antigua Race Week, entries in Suncoast Race Week, Key West to Cuba Race, and others. He had many happy owners, great memories and trophies. After a few short assignments with Morgan Yachts as the Morgan 65 Consultant and S. E. Manager for Lancer Yachts, Gene was commissioned in 1981 to supervise the commissioning and get ready an Irwin 65 for an Australian owner. He sailed with the Irwin 65 to the Mediterranean, visiting Gibraltar, Spain, France, Monte Carlo, Italy, Switzerland, and England. In December 1981, he returned to Florida and Irwin Yacht & Marine Corp. 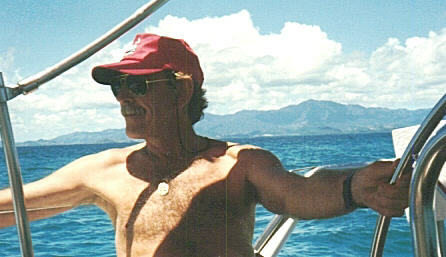 In 1982, Gene went to Seabrook, Texas to open Irwin Yachts Southwest. He became Irwin's largest dealer for a few years, then a downfall of the economy of the region brought him back to Florida. 1988 found him at Watkins-Seawolf as National Sales Manager, supervising sales for sail and powerboats. He was then invited in 1989 to join a brokerage, an Irwin Dealer, in Ft. Lauderdale. 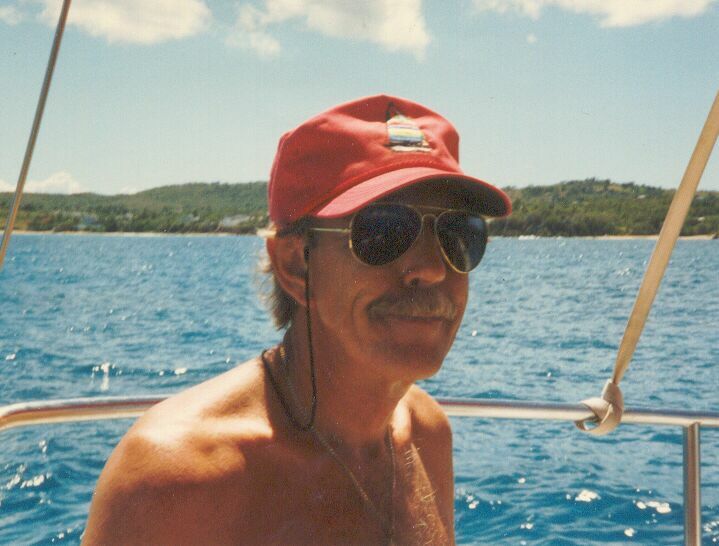 Gene prospered and then sailed to Vieques Island, PR in 1993 to a home he owned, and commuted by sailboat to St. Thomas and Tortola where he worked as a broker for Southern Trades Yacht Sales. In 1996, Gene returned to Florida with the plans of getting the production of the larger Irwins going again. He contacted boat factories around the world researching potential production builders. 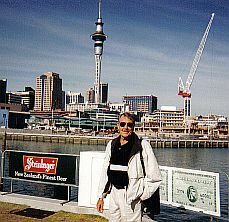 Ted Irwin and Gene opened Irwin Yacht International, Inc. in 1998 and contracted with a New Zealand yacht builder for the production of the new 72, to be followed by the Irwin 56 and 85 models. After several trips to Auckland, and multiple breaches of contract by the builder, Ted and Gene ended the project. During Gene’s years in boating and many boat shows he was fortunate to have met some famous yachtsmen such as Walter Cronkite, Charlie Morgan, Ted Hood, Ted Turner and several others. His Irwin SW dealership in Houston was located at the Hilton across the street from NASA Johnson Space Center where Gene often cocktailed at the Hilton with famous notables such as Alan Sheppard, Sally Ride, Red Adair and others. Red Adair was a fun guy who laughed about the movie Blowout where the tall John Wayne played him. He always wore a red shirt and his boat was red also. 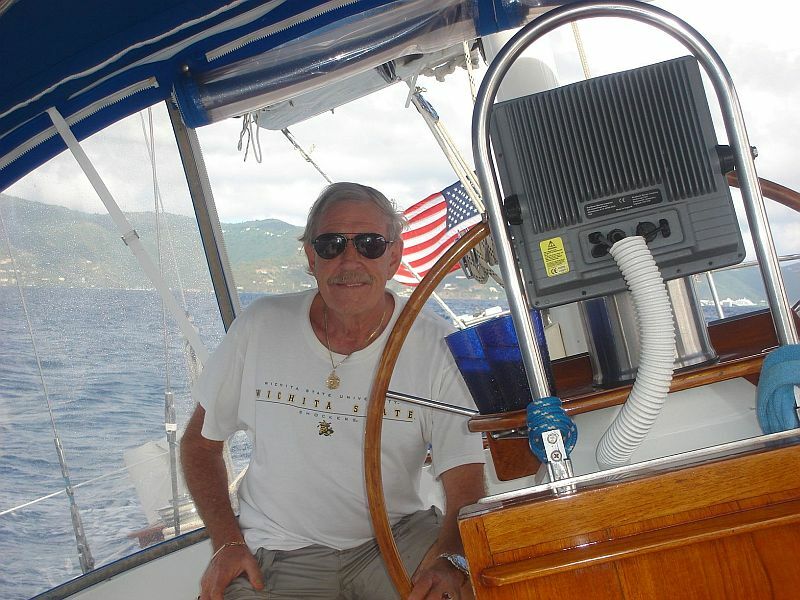 Gene continues to be an active licensed and bonded yacht broker in Florida, and continues to specialize in the resale of Irwin sailboats and other yachts. He also maintains his 100-ton Masters License. At owners requests, he has supervised several refurbishments of the larger Irwins, helping them to retain and increase their value. He has not given up the idea of new production of larger modern sailing yachts, and feels it is just a matter of time.